Plan Well. Live Well. Experience MORE. Your Financial Plan could be missing one KEY ingredient! 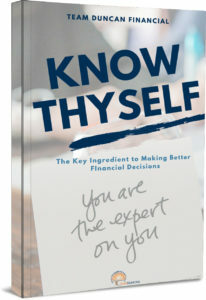 Without even knowing it, YOU could be sabotaging your financial decisions. Use this free resource to uncover the key variable that could change the way you approach your financial life! In an industry riddled with salespeople peddling product after product, Team Duncan has committed our practice to a BETTER WAY…. We are advice-based. Our client’s interests are at the heart of everything we do. We believe that advice implemented with aligned intentions between advisor and client results in better financial decisions and outcomes. We are here to honor who you are now and help support you in who you want to become. Finances touch every aspect of your life. Your personal life and your financial life are not separate. Your Financial Life Plan isn’t just about your money- it’s about your life. 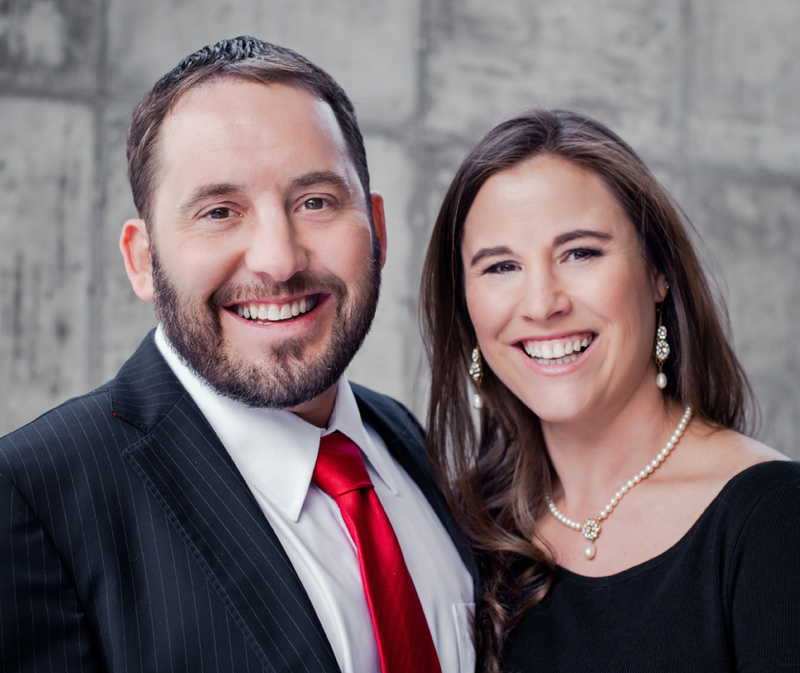 Husband and Wife team, Eric & Amy Duncan, represent a rare balance and a refreshing approach to Financial Planning and Advisory relationships. At Team Duncan Financial, we respect the SOURCE of your wealth, value the PURPOSE of your money and honor your EXPERIENCES. Comprehensive Financial Planning is not just about projections, models and portfolio management. The foundation for your relationship with Team Duncan is built on informed and objective advice and encompases your complete financial life plan. Schedule your free Discovery EXPERIENCE with Team Duncan Financial and you’ll immediately gain valuable tools to start aligning your values, goals and desires for better financial decisions. Moloney Securities Co., Inc. is a Registered Broker-Dealer and Member FINRA & SIPC Investment Advisory Services offered through Moloney Securities Asset Management, LLC, Registered Investment Adviser. Moloney Securities Co., Inc. and Moloney Securities Asset Management, LLC are not under common control or ownership with Team Duncan Financial. The information contained in this website is not a complete analysis of every material fact with respect to any market, company, industry, security or investment. Opinions expressed are subject to change without notice. Statements of fact have been obtained from sources considered reliable but no representation is made by Moloney Securities Co., Inc., any of its affiliates or any representative of the company as to completeness or accuracy. Nothing here should be construed as an offer to buy or sell, or solicitation of an offer to buy or sell any securities. This communication is strictly intended for individuals residing in the state(s) of AK, AZ, CA, CO, CT, FL, IN, KS, MD, MA, MO, NM, OR, PA, TX, VT and WY. No offers may be made or accepted from any resident outside the specific states referenced. © Copyright Team Duncan Financial, 2018. All Rights Reserved.